I received my driver’s license mumble-mumble years ago in Maryland, back in the day when teen driving regulations were pretty light–no restrictions on number and age of passengers or driving at night. stepbrother, stepsister of the junior driver and adopted or foster children living in the same household as the junior driver) in their vehicle unless they are accompanied by a parent or legal guardian. If they have not been convicted of a driving violation or been partially or fully responsible for a reportable crash after six months, they may have up to three passengers under age 18 who are not immediate family members without a parent or legal guardian present. If they have any convictions or are partially or fully responsible for a reportable crash while a junior driver, they are once again restricted to one passenger. Other restrictions–such as not being able to drive late at night or not being able to drive late at night without a licensed driver over the age of 21 in the car–are part of some states’ graduated license provisions. So, what does this mean to an author? Beware when crafting contemporary stories involving young drivers. 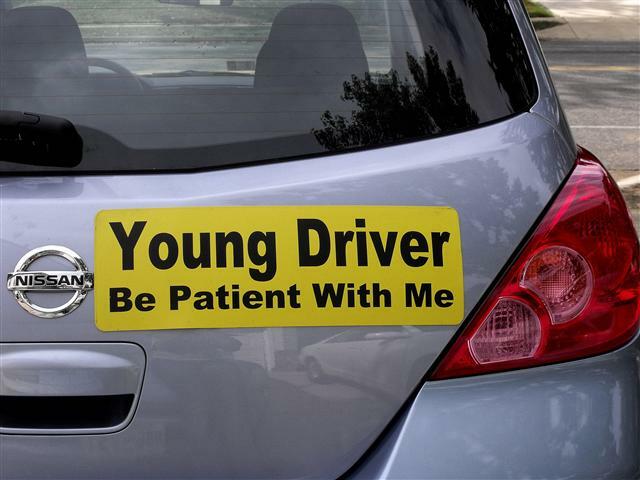 Make sure you know the restrictions on young drivers in the state where your story is set. Don’t have your underage driver tootling around the countryside with a car packed full of underage passengers after midnight unless you note he or she is flaunting the law. Authors who learned to drive “back in the day” before graduated licenses and don’t have any teen drivers in their households might not be aware of these licensing laws. As a copy editor who’s flagged this issue a few times now, my helpful hint to writers of YA (or adult fiction featuring a young driver) is this: save yourself rewrites later and go to the transportation department website to look up the law on young drivers in the state where your story is set. You’ll be glad you did!